VAIL, Colorado – The Steadman Clinic, an orthopedic clinic with facilities located in Vail and Frisco, has hired Dr. Michael Cassat to join its specialized team of physicians. Cassat brings a family medicine and primary care sports medicine background to the clinic. He treats patients from all walks of life who present with joint pain, minor ligament injuries, sprains and minor fractures. With a focus on sports-related injuries, chronic overuse injuries, and conditions that occur as the result of sports training and trauma sustained during competition, Cassat is skillfully trained to treat high endurance athletes of all ages. He has a particular interest in triathletes and rodeo athletes. Cassat attended medical school at the University of Arkansas, and later completed his residency and internship in Fayetteville at the Area Health Education Center Northwest. 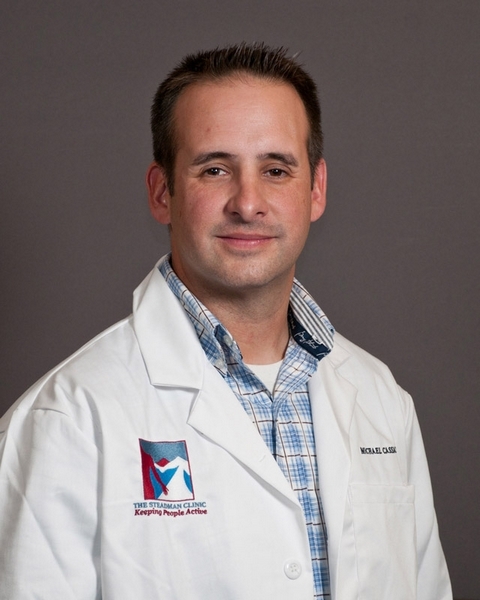 He has been a team physician for numerous high school students and professional teams and is also a member of the Justin Sports Medicine team for the Professional Rodeo Cowboys Association. During his first week on the job at the clinic, Cassat treated patients from all over Vail for injuries ranging from sprains, fractures and dislocations, to chronic pain suffered from arthritis. Cassat consults with patients in Frisco on Mondays and Thursdays, Edwards on Tuesdays and Fridays, and Vail on Wednesdays. To schedule an appointment with The Steadman Clinic, call 970-476-1100 or obtain additional information relating to sports injuries.